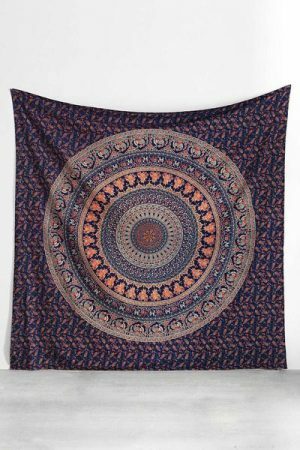 Beautiful handmade Purple Plum and Bow Medallion Mandala Tapestry featuring a center Mandala with round circle ring in various elegant colors. 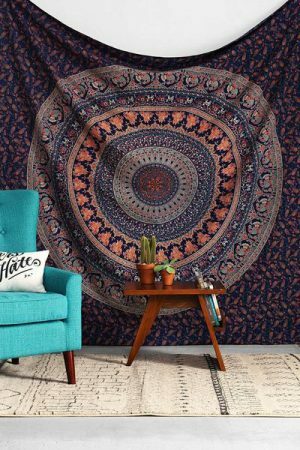 Made in India, this bohemian wall hanging will match your bedroom decor with a distinctive spiritual touch and charming floral, birds and animal featuring tapestry design. 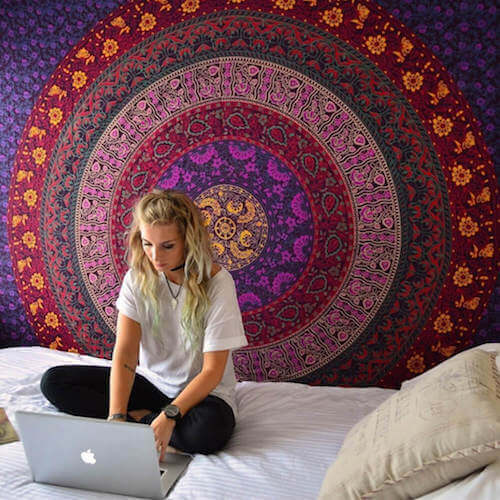 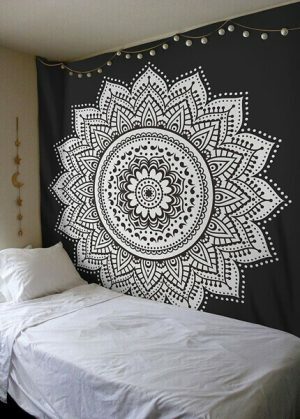 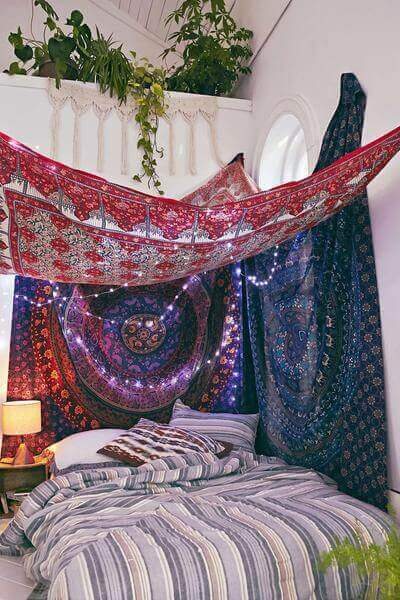 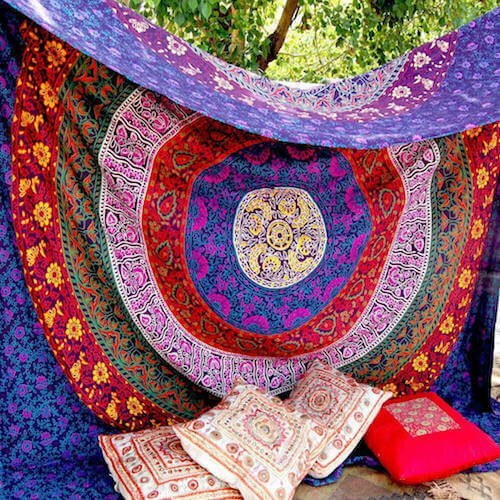 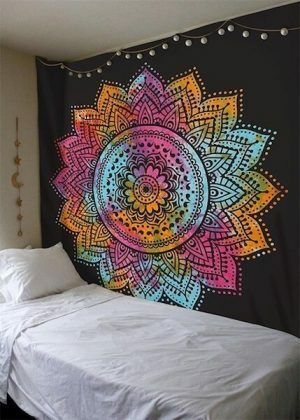 The color fastness guarantees a high quality and durable tapestry even after a repeated wash. Use it as a wall hanging, table cover, bed cover, college dorm room wall hanging and more. 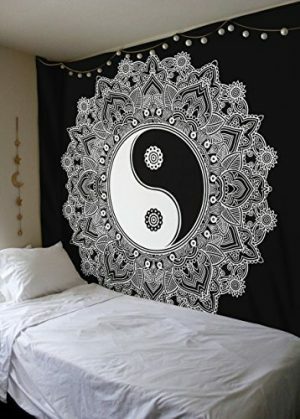 NOTE: A small imperfections with print Due to hand screen printing process, such as teeny paint spots, slight print imperfections, a slight running of dye etc. 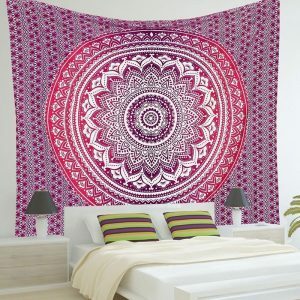 A lovely tapestry, very well made with high quality fabric.